Just because you’re getting married in the morning doesn’t mean that you have to put the celebratory drinks on hold. Morning wedding cocktails might call for less rum and more fruit juice, but that doesn’t mean you have to scrap the idea of a couple of cute cocktails altogether. Mimosas are a classic breakfast treat that will most certainly prove to be a hit with your guests. 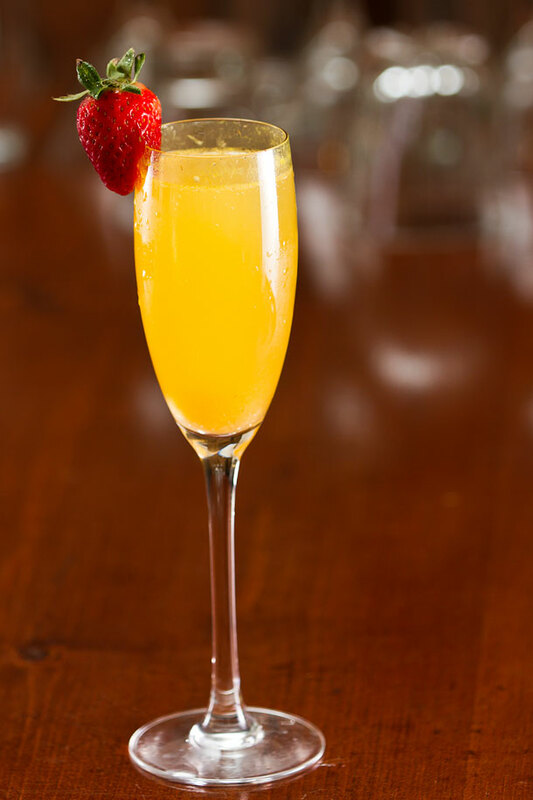 Mix orange juice with champagne or sparkling wine and serve in a champagne flute with a slice of strawberry. Mix together peach puree or a rich peach fruit juice with some champagne. Garnish with a fresh peach slice. This flirty treat will go great with a finger snack breakfast or a mid-morning tea. If you’re looking for a pretty pink option then some pure cranberry juice mixed with champagne or sparkling wine will have you smiling. Just keep adding the cranberry until you are happy with the colour. Garnish with a fresh cranberry or two if you can find them, but a maraschino cherry will work just as well. A combination of champagne, vodka, fresh lime juice and pineapple juice makes for a slamming morning cocktail. Serve in frosted martini glass with a slice of lime for décor. Lemon iced tea mixed with champagne and a little lemon juice. Serve it in a short glass filled with ice and garnish with a sprig of mint and two strawberry halves. Mash up a bunch of strawberries (one to two per person) and place in the bottom of a champagne flute. Top up with champagne and garnish with a strawberry on the side of the glass. A mixture of ginger ale, white wine and a blue liqueur of your choice will make a great blue cocktail if you are looking for something a little out there. Serve in a frosted champagne glass and enjoy.